100 volunteers of the community multimedia centres (CMC) in the eight remote villages of the Kyrgyz Republic have improved their skills to creating and distributing information materials on local and national levels, through training and consultation of the Public Foundation "Kloop Media” with the support of the UNESCO Bureau in Almaty within the framework of the joint project of the EU and the UN in assisting good governance in the Kyrgyz Republic. The status of rural journalist has been improved as wel as the role of Community Multimedia Center. 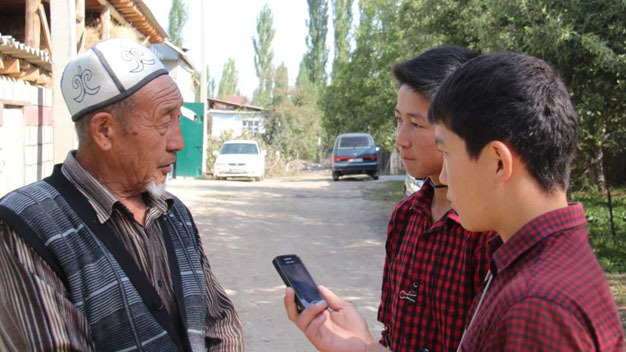 About forty thousand residents from eight remote villages of the six oblasts of the Kyrgyz Republic now have the opportunity to receive qualitative information which is publicly significant and that is important in providing the effective self-governance. 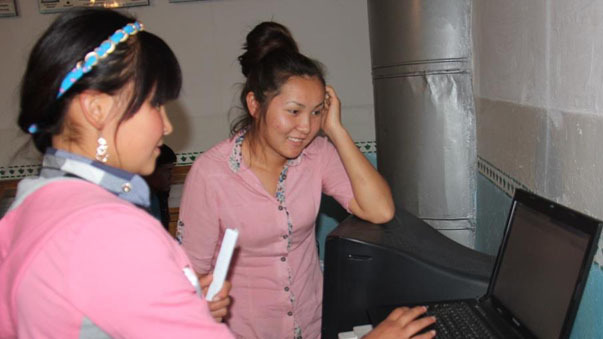 Community multimedia centers provide local community information platform for free expression of their opinions about social and economic processes in remote villages. Population of the pilot villages, including women, children, youth, disabled and vulnerable people, teachers, doctors, farmers can directly participate in the creation of informational materials and to talk about their problems, to express their opinions and offer their solutions to them. "The inhabitants of our village not only read the news about themselves, they are also involved in this news-making processes by expressing their opinion on the problem. Soon it appears on the website of our village and many other people get to know about it. Moreover, the status of rural journalist has been improved and the role of CMC is significant" Aisulu Erkinbekova says, a rural correspondent of the community multimedia center in Oogan-Talaa village, Jalal-Abad oblast. In October 2014 the project ends. The establishment of a CMC and training volunteers - only the first step towards improving access to accurate and balanced information through development of the quality of citizen journalism. The project "Operationalizing Good Governance for Social Justice", was launched in October 2011 and has been implemented for 36 months. The project aims to improve the potential for the realization of fair rights of citizens to public services, especially for vulnerable groups - women, youth and children in 30 rural municipalities in 7 regions of the Kyrgyz Republic. This project is implemented by UNDP, UNICEF, UN Women and UNESCO. European The Union participated in the financing of this project jointly with the above UN agencies.